Most diabetic view sugar as a NO!NO! But, does this mean that you should completely avoid sugars? In our modern world society diabetes is the fastest growing disease. The truth is as a diabetic you should not entirely abstain from sugar instead ensure that you limit your intake of sugar. So, what should you eat when you have a craving for sweet things and at the same time don’t want a spike in the blood sugar levels? The answer is; eat dates. Basically, dates are sweet fruits and have a low glycemic index meaning that they won’t cause a sudden rise in your blood sugar levels. And, that’s not all; dates are packed with vital nutrients. Have you ever wondered why the date palm is referred to as “the tree of life”? This is due to its long shelf life and its richness in nutrients. Basically, dates are very common in the Middle East. Given its richness in nutrients and other health benefits, dates are consumed all over the globe. Dates contain soluble fiber, high amount of fructose, vitamins B, A and K, calcium, sodium, potassium, magnesium and most importantly zinc. These nutrients and especially fiber help in the digestion process by preventing constipation dates also reduces the risk of contracting heart diseases, anemia, diarrhea and intestinal problems. So what is the connection between dates and diabetes? What science has to say about consuming dates as a diabetic! Well, quite a handful of studies have been conducted so as to determine the GI of dates and how they affect the blood sugar levels. According to the findings of a study published in the “Nutrition Journal” testing the glycemic index of 5 different varieties of dates. It was found that on consuming dates there was no recorded post-meal spike in the glucose levels. In fact, the findings indicated that if consumed with moderation dates have health benefits. In another study published in 2003, the glycemic index of a single variety of dates was tested. Where dates were consumed with plain yogurt whereas the others consumed purely, the findings indicated in both occasions eating dates didn’t cause a spike in the blood sugar levels. In yet another study published in 2002 testing the glycemic index of three varieties of locally available dates, it was found that though the glycemic index differed. Neither of the three causes a sudden spike in the blood glucose levels. The conclusion was that consuming dates was beneficial in maintaining controlled blood sugar levels as well as controlling diabetes. As a diabetic is it healthy to eat dates? According to the studies mentioned above, it is clearly clear that consuming dates doesn’t cause a sudden rise in the blood sugar levels. On the contrary, consuming dates has been linked to having numerous health benefits. 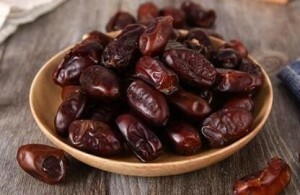 To most people, dates are an ideal food. This is due to the fact that dates have no cholesterol, has very little fasts and most importantly have a wide range of nutrients that are beneficial to the body. Typically, one serving cup of dates contains approximately 31gramms of fructose. By default, dates are basically 80% sugar which is relatively higher compared to other foods such as jelly beans and sugared cereals. Against all odds, even with the high sugar content consuming dates does not cause a sudden spike in the blood sugar levels. In attempts to prove this claims the theory was tested by a scientist from Israel. In the test, people with diabetes were made to take some good amounts of dates and after one month the blood sugar levels tested. The findings denoted that the subjects had stable blood sugar levels and improved their levels of antioxidants and triglycerides. Medjools are the superior version of dates and hence often referred to as “the king of dates”. They are most popular due to their sweet flavor big size and softness. In a study, healthy people were used as tests subjects. The 10 subjects took 100grams of Medjool dates for a minimum of 4 weeks. After this duration, the blood sugar levels and cholesterol levels were tested. The findings indicated that there was no significant change in the glucose levels and levels of bad cholesterol in the body. This is a clear indication that consuming Medjool dates won’t have any effect on your blood sugar levels as a diabetic and hence totally safe for people with diabetes. There is a saying in Saudi Arabia that goes “ if you consume 7 dates in the morning neither magic nor poison will hurt you that day” Ajwa dates are mostly grown in Saudi Arabia and is famous for its high nutritious profile. In a study conducted in 2011where diabetic rats were used as tests subjects. The findings of the study clearly showed that consuming Ajwa dates helps improve the diabetic neuropathy and reduce the risk of contracting chronic diseases associated with diabetes. A low glycemic index means that the particular food substance won’t cause a sudden spike in the blood sugar levels when consumed. 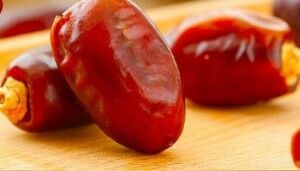 Typically, dates have a low glycemic index. Different varieties have a glycemic index ranging from 35 to 55. During the initial stages of maturation, date fruits have a very high amount sucrose. On reaching maturity the sucrose is then broken down to fructose and glucose. Basically, glucose and fructose are the simplest forms if sugars and on being consumed provides instant energy. If you are working out during the day if you consume dates this will provide instant energy and stamina. Are fat-free, high in nutrients and sweet! Dates are very rich in nutrients and most importantly to a diabetic low in fats and with no cholesterol. Dates are rich in magnesium, potassium, sodium, copper, vitamin B-complex, vitamin A, calcium, and iron. Dates also have a compound known as selenium that helps protect the body from contracting cancer and boosts the immune system. Other than the high content of carbohydrates and glucose, dates are also rich in fiber. The fiber in dates is insoluble and hence provides roughage to your digestive system preventing constipation, lowering the levels of bad cholesterol in the body and aid in weight loss. Approximately 100grams of dates have 8 grams of insoluble fiber. It is not recommended that you eat dates as they are. However, you still can but ensure you eat them in moderation. The following are some of the ways in which you can consume dates. 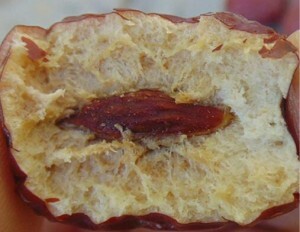 Have dates as a snack with its seed removed. You can stuff it with a bite of chocolate, pistachio, walnut or almond. You can also blend dates into a milkshake or smoothie and have it as a snack. Grind them into a paste and add the paste to pancakes, waffles or even a cereal breakfast. Maamoul is a popular meal in the Middle East that is basically made from filling dates with some pudding inside cookies. What are the effects of eating dates to the blood sugar levels? In a study conducted in 2009 that tested the effects of two varieties of dates that is Medjool and Hallawi on the blood sugar levels. In the study, 10 people were made to consume 100 grams of dates each day for approximately 4 weeks. The findings indicated that consuming that dates didn’t affect the blood sugar levels nor did the triglycerides increase. The lack of significant effect on the blood sugar levels means that dates are safe to be consumed by diabetes. However, ensure you consume no more than 3 dates in a day. In general, a cup of chopped dates contains 110 grams of carbohydrates, 95 grams of sugars, 415 calories and some good amount of fiber. Adding dates as part of your diet will provide you with added 10% of your daily intake of vitamins and other minerals such as Vitamins A and B, manganese, copper, potassium, and magnesium. You will also get some good amount of water. People with diabetes should limit their intake of carbohydrates. So, how much of the dates should one consume in a day? Nutritionist recommends three per day. Dates provide energy and have high amounts of antioxidants compared to peppers, grapes, oranges, and broccoli. You will also get a good amount of fiber. For centuries now, people around the globe have made dates as part of their day to day meal. People from every corner of the globe, religion, and faiths consider this fruit as a nutrition powerhouse. It is delicious and packed with nutrients at the same time. The good news is, irrespective of whether you are healthy or diabetic consuming dates will only have positive effects on your body.